Buying your home in the Dallas / Ft. Worth area is one of the most important purchases you will ever make. This is no time to shop for a cheap Dallas home inspection. The cost of a Dallas area home inspection is very small relative to the home being inspected. I am determined to perform home inspections of the upmost quality, with integrity. For a buyer, I make sure that they know and understand every fact about the property that they are purchasing. For sellers, I will provide a report that gives full disclosure, with no worries if a buyer coming back and questioning anything regarding the property. Anytime that you are purchasing a property, I understand that it is a HUGE investment. Everyone involved needs to know every aspect of the property. I take pride in providing this service. The majority of my business is from client referrals and from online searches. I work directly for the client. My job is to insure that the client understands every item that may be reported. My job does not end after the report is completed. Should you have any questions days or months down the road, you are encouraged to give me a call and I will do whatever it takes to insure that you are completely comfortable with the property. I am here to assist you in making a confident decision about your property. Whether you're buying a new property and want to be sure of what you're getting... or selling a property and want to eliminate possible problems that could delay or lose a sale. Or just want a professional to inspect and advise you on the condition and maintenance or safety recommendations of your current home, I am here to help. What matters in a Dallas Home Inspection? Below is a short video from InterNachi to explain. What Does the Inspector Look At During a Home Inspection? One of the things on which I pride myself is giving my clients a thorough inspection so that they are well-informed. From there, I will do what it takes to address all of their concerns and questions so they are comfortable with their purchase or non-purchase. As a TREC licensed Professional Inspector #10566 and certified InterNACHI member, I must adhere to the TREC Standards of Practice (SOP) as well as the InterNACHI SOP when performing a Home Inspection anywhere in Texas including home inspection in Dallas Plano McKinney Allen Frisco Lewisville Garland Ft. Worth Addison Coppell Carrollton Castle Hills Denton Corinth Desoto Anna Farmers Branch Flower Mound and anywhere else in the DFW Metroplex. "John is awesome and fantastic. He did two inspections for us--the first one saved us from a house that had a recalled electrical panel and a terrible roof that the owner did not want to fix. He did a discounted second inspection for us and always sends a full detailed report (with pictures) the same day. I'm more of a "hands off" person, but my fiance likes to "be in the mix" and ask lots of questions. John was more than helpful explaining things to him and went over each report with us in detail when he was finished, showing us all potential problems in the house. "I had a fantastic experience with John. We were purchasing a 1 year old 2013 build home so it was fairly new, but after reading horror stories on line on various new builds we decided it would be a good investment to find a good inspecto. "My family and I are relocating from Virginia Beach, about to close on a new build home that we have only had the chance to see once, briefly, in person. While the home inspection wasn't necessary to close, I knew I would feel better knowing someone had inspected it. Being that my family and I were in transit, I was not able to be there for the inspection. "Had a very good experience with John and Systematic Home Inspections. He has an electric lock key-thing, so the realtor didn't need to be there... bonus, one less thing for me to coordinate. He showed up on his own on the morning of the inspection (I assume on time), and I showed up toward the end of it and he walked me through everything. Pointed out issues and necessary repairs. His knowledge of codes and explanations of the problem areas and concerns was much appreciated. - he seemed to be very knowledgeable and thorough, and his comments giving color and context around how serious different things were was very helpful. "John was easy to work with and provided a detailed and thorough home inspection report. He gave a more detailed report on the roof than other home inspectors I've worked with. Because of this I was able to those items fixed by the seller before closing. He was also able to do a follow up inspection in a tight time frame. "We had bought a new construction home in the DFW area and wanted our own home inspector to review the work of the builder. We called John up over the weekend and he was able to see us in just a few days. He was very responsive throughout the whole process to all of our questions and concerns. John also provided us with some education on why things were done and should not be done with new constructions. "We are building in the area and hired John to inspect our new home. I highly recommend John based on our overall experience. His communication was thorough, he answered questions we had with patience and detailed knowledge. He took his time inspecting the exterior, interior, roof, appliances, attic. His total time of inspection with full discussion afterwards was approximately 4 hours. I received my full report via email later that night. I also appreciated that he had three pairs of shoes that he wore throughout the inspection, which shows much regard to my house and it did not go unnoticed. "I will be honest in saying that I chose SHI because he was the cheapest. But, I was also buying a fairly new home and didn't expect a lot of issues. Regardless, John was professional and thorough in inspecting my future home. Although the house is fairly new, he showed me several minor issues, easily fixable and that will definitely help in making my new house last a lot longer. Along with the inspection report, he also sent over a home care guide. John also worked with me on payment issues and provided a receipt and the assurance that any documents with private information was shredded. I am very pleased with John and his inspection and I can't wait to move into my new home." "John did an inspection for us at the last minute on the morning of Super Bowl Sunday and we were extremely happy. We had to change schedules several times leading up to the inspection and John was always flexible and easy to work with. We hired John based on his high ratings, and found his service to be 100% as advertised. "I found John on Yelp and after checking around decided to go with him. I am glad that i made the right decision as John was very professional and thorough in his inspection. Along with many other little things, he identified some cracks and recommended structural engineer to check the foundation of the home. as it turns out, there was a shifting issue with the foundation and we are thankful for him pointing it out for us. John was wonderful to work with. I look forward to recommending him to someone in need of a home inspection. We got a thorough report, pictures, and the much needed personal attention we needed as first time home buyers. 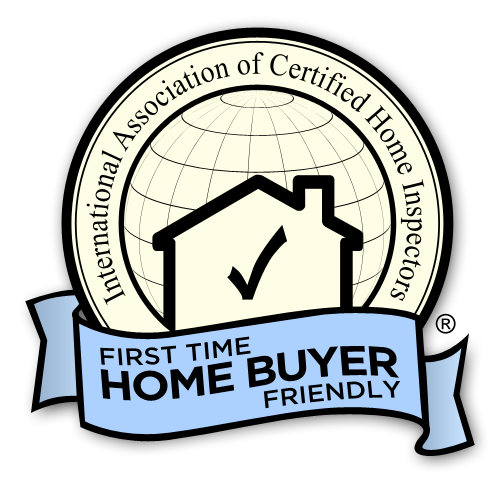 HGTV - Why Get A Home Inspection?